About 8 handfuls fresh rocket leaves. 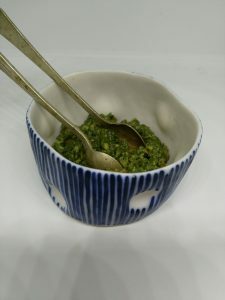 Wash Rocket, Parsley and Basil, dry and push through a food processor. Add rest of the ingredients and continue to blix in the food processor to taste.